Please schedule your appointment through the scheduling page or by calling the center at 319-775-0117. Walk-in appointments are sometimes available depending on practitioner availability. Please call ahead to confirm. Therapeutic employs diverse manual techniques of touch and stroking to muscles and soft tissue to achieve relaxation and to improve the client's well-being. Techniques include: trigger point massage, myofacial, lymphatic and deep tissue depending on each clients unique needs. Hot stones are used as tools to help warm and relax tight muscles and tissue. Very relaxing, perfect for over stressed muscles. Massage performed with heated stones in the therapist's hands. Heated stones are also placed on and around the client's body. 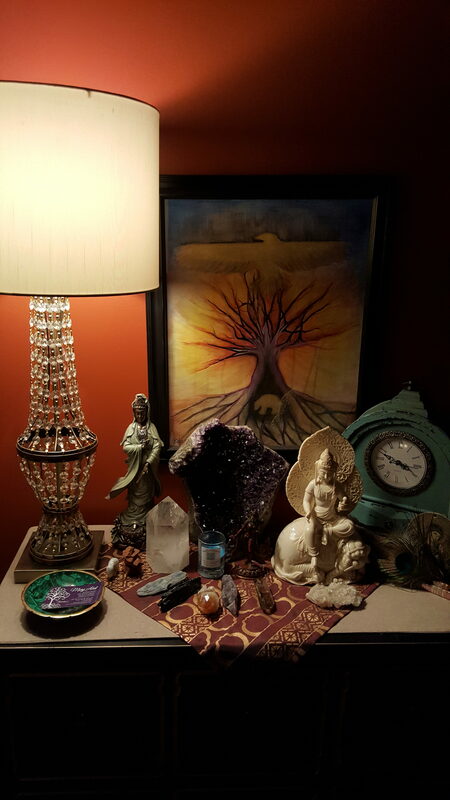 Swedish Massage accompanied by some or all of the following based on your personal needs: energy work, essential oils, smudging, prayer, chakra stones, drum wash - all designed to enhance healing benefits. Swedish Massage is a very relaxing and therapeutic style of bodywork. It combines oils or lotion with an array of strokes such as rolling, kneading, and percussion to help the body improve its circulation. The benefits of this type of bodywork are wide-ranging and include relief from aches and pains, decreased stress levels in the body, enhanced mental clarity, improved appearance, and greater flexibility. Similar to Swedish massage for relaxation, improve circulation, decrease overall muscle tension, lower back tension, and other areas of muscle tension. 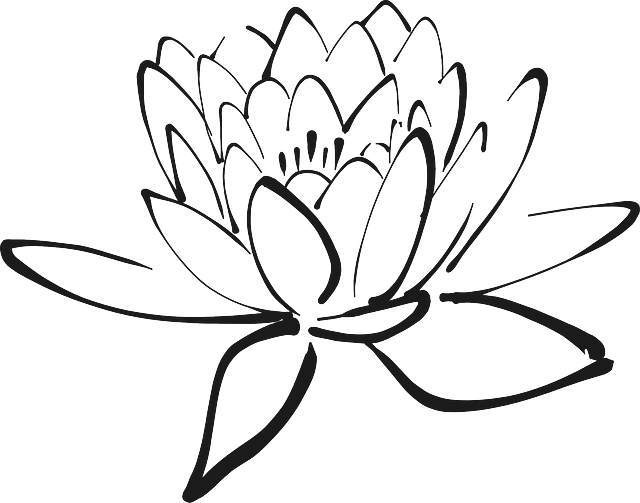 This integrated massage is focused energy/soul work with added gentle bodywork. Bodywork may include cranial sacral techniques along with Reiki and/or chakra balancing to guide you on your ultimate self healing path. By directly communicating with the body and soul, actively listening, and setting intention, we start guiding the healing process. This is so powerful. By gently releasing the patterns of trauma stored throughout the body's tissues and the soul, one can start the healing process. Perfect for unresolved localized chronic pain, neck pain, sinuses, ear and throat conditions, PTSD, neurological disorders, migraines, and other health related conditions. A gentle hands-on therapy of evaluating and manipulating the skull, spine, diaphragm, and connective tissues- relieving restrictions and allowing the craniosacral fluid flow to restore the body's balance thus alleviating pain and help the healing process. Special massage techniques that incorporate Young Living Essential Oils along the spine and feet. 9 essential oils applied like drops of rain to your feet, spine and neck for an integrative massage that detoxifies, balances and rejuvenates. This is a safe and effective alternative to fighting bacteria and viruses. Essential oils are antioxidants, relieve pain, eliminate toxins, and also have a positive effect on our emotions. Physical and emotional assessment, massage, energy work and/or aromatherapy. Service available in the animal's home or veterinarian's office with prior consent from veterinarian. A hollow tube made of muslin and beeswax is lit and placed in the ear. The tube, or ear candle, produces smoke that creates a vacuum to carry and remove debris from ear canal. Relaxing soak, scrub and a rub. Aromatic oils, herbs and or salts used to shed old skin cells and rejuvenate tired overworked hands and feet. Makes a great gift! Gift Certificates available. Reiki is a natural healing method with origins in Japan in which life force energy in channeled by the laying of hands. This energy occurs naturally throughout our bodies, thus this method restores and balances the proper energy flows. This is spiritually guided and treats the whole person. This technique promotes relaxation, general well-being, and peacefulness. The deep, healing relaxation found with Reiki is combined with the reading of ones energy system. Results are shared in addition to intuitive guidance and direction for whatever concerns or questions one may have. The deep, healing relaxation found with Reiki is combined with the reading of ones energy system. Results are shared in addition to intuitive guidance and direction for whatever concerns or questions one may have. Use of the Richway Amethyst BioMat is added. Every day our bodies and minds are subjected to stress, which can result in aches, pains, irritability, & fatigue. Imagine being able to feel better while you relax in soothing heat. With the help of the BioMat, you can do just that! The BioMat provides safe, natural, highly effective therapy for those who wish to improve their overall health & well-being. Based on Nobel Prize-winning scientific research pioneered by NASA, & developed using pure natural materials, the BioMat uses far infrared rays & negative ions to relax muscles, increase circulation, relieve muscle pain, relieve joint pain & stiffness, reduce stress & fatigue, improve sleep, reduce inflammation, increase tissue oxygen, & promote an overall sense of well-being for a healthier body & mind. Reiki therapy can aide in treating and healing physical injuries, illness and emotional/behavioral issues in any animal. Energy Healing is also beneficial to healthy animals as it instills a sense of peacefulness. Healing Touch is energy therapy that originated in the US. It is a relaxing and gentle touch to balance the spiritual, physical, emotional, and mental bodies. It works with the energy field to support the bodies natural ability to heal. This healing is very nurturing. Reflexology is a soothing, relaxing treatment providing comfortable pressure to reflex and acupressure points throughout the feet and hands. The body's natural ability for self-healing is stimulated and heightened. Shamanic healing has its origins in the indigenous peoples. It is a deep soul level healing work that promotes spiritual reconstruction. This method brings back lost soul parts, heals wounds, removes blocks, addresses soul contracts, retrieves lost power, and promotes individual spiritual connections. It works on the spiritual levels and is guided by the Spirit World. Chakra Healing focuses primarily on the seven major chakras. Chakras are energy centers in our bodies that govern body parts, emotions, intellect, and personal development. These can get clogged or become dysfunctional during trauma or stress. This healing releases, cleanses, and balances the chakras. Harmonic balancing treatment to free blocked energy and bring the body into a natural state of balance which promotes healing. A session clears/charges the aura, energizes and centers the body, provides pain relief, deep relaxation, and clears/raises vibrational frequency. Take time out to be present to making an energetic connection to your partner through eye contact/breath work/shared energy work. All aspects will be guided/supported in a meditative way by the facilitating practitioner. Includes discussion time, Q&A. Experience healing energy with the aid of 7 archangels. In the last 10 minutes, the practitioner will share the messages she received from your body & the archangels. Find out what your chakras are trying to tell you! Reconnective Healing is a form of healing that is here on the planet for the very first time. It reconnects us to the fullness of the universe as it reconnects us to the fullness of our beings and of who we are. Everyone’s experience with Reconnective Healing is unique. Often healings are reported in an instant in just one session, and sometimes it takes a bit longer for a healing to unfold. If you’re lucky, your healing will come in the form you anticipated; if you’re really lucky, your healing will come in a form you haven’t even thought of, one that the universe has in mind specifically for you. Working with each client individually to determine a set of essential oils which support their current needs for health and well being. Grids are created to help in bringing peace, protection, and love into your life. You will leave this healing session with instructions on how to set up and care for your personalized grid, materials (stones, herbs, etc) for a grid, and a gemstone wand. Crystals work with the energy around them to help foster a productive and healing environment. Each individual crystal brings its own unique energy signature to the table to help support us in becoming the best versions of our selves. This is a service provided to bless your home. Smudging using sage clears negative energy. Drumming and or rattling also helps to move the energy from your space. Blessings and prayers are spoken to bring good energy and protection back into your space. Hypnotherapy is a practice of hypnosis, a deep state of relaxation and focused attention, used as a tool for therapeutic purposes. The client, under the guidance of a qualified hypnotherapist, is taken into a trance (Theta) state, so as to allow the client to focus on positive suggestions made by the hypnotherapist, that are related to the client's specific goals. The ability to enter into this state and focus on these suggestions opens the door to aid the client in deeper self-exploration, making positive life changes, and experiencing the healing of body, mind, and spirit in a safe, positive, powerful, highly efficient way. Hypnosis may be used safely and effectively in the treatment of anxiety, depression, pain management, fears, phobias, smoking cessation, weight reduction/management, stress, habit disorders, anger management, self-confidence, migraines, trauma, sleep disorders, & many others, without the use of drugs, or adverse side effects. Spiritual guidance is a consultation with the spirit world to best determine a path or plan of action. This guidance also can help an individual work through a particular issue or problem that they are struggling with. We often face challenges with our intimate relationships. Couples Guidance is a spiritual/intuitive approach to determining, facing and healing the issues that create discord and distance. A journey to discover a past life that may be having negative effects on your current life. In this journey you will be given the opportunity to discover, understand, and heal this past life, therefore promoting a change in your current life situation. A personal Guided Meditation Session may be used to help the client to connect with their guides, heal a past or present issue or gain clarity. A session includes initial discussion time, 30 minutes of Guided Meditation, then follow-up discussion. A personal Guided Meditation Session may be used to help the client to connect with their guides, heal a past or present issue or gain clarity. Use of the Richway Amethyst BioMat is added. Every day our bodies and minds are subjected to stress, which can result in aches, pains, irritability, & fatigue. Imagine being able to feel better while you relax in soothing heat. With the help of the BioMat, you can do just that! The BioMat provides safe, natural, highly effective therapy for those who wish to improve their overall health & well-being. Based on Nobel Prize-winning scientific research pioneered by NASA, & developed using pure natural materials, the BioMat uses far infrared rays & negative ions to relax muscles, increase circulation, relieve muscle pain, relieve joint pain & stiffness, reduce stress & fatigue, improve sleep, reduce inflammation, increase tissue oxygen, & promote an overall sense of well-being for a healthier body & mind. A psychic reading brings forth information from our spirit guides. A reading may include any type of information, such as messages from loved ones, relationship issues, or career paths. Any questions may be asked. In an intuitive reading the practitioner will connect with Spirit to get a sense or a feel for the issues at hand, then engage you in a dialogue that will help you to reach a place of understanding and clarity. One on one opportunity to connect with loved ones on the other side. Combination of a psychic and medium reading, along with shamanic information from the spirit world, to bring forth self-empowerment, vibrational shifting of old patterns, and insight of core wounds for the ultimate healing of self. This ancient form of divination helps us to connect with the messages and guidance Spirit is wanting to communicate. What comes through is always shared from the vibration of what is going to serve your highest and best good. If you are looking for a bit of direction on your path, Spirit can help provide some clarity through the cards. Lenormand is a style of oracle card that originated in France in the Napoleanic era. It has been revived in the last few years. More direct than Tarot - while still highly symbolic - a Lenormand reading will get to the heart of your query. Three gifted readers each using a different deck of oracle cards will provide you with an integrated reading giving you insightful guidance. Learn how your past is influencing your present and how to use this information to create the future you want. A soul reading will bring forth information about deep soul and spiritual issues. This will show past lives, potential karma, soul contracts and life lessons. Deep understandings regarding life situations often occur. Questions may be asked. By looking at your dominant chakras, identifying your guardian angels, listening to your spirit guides and animal totems, and with the help of loved ones on the Other Side, you can get a clear picture of your soul purpose. This session expands on the 30 minute Soul Purpose Reading to include extra information and work together to identify ways in which the client can live from their soul purpose. Every action, including past lives, are contained in the Akashic Record. Through the Akashic Record, we can discover beliefs, conscious or unconscious, that are no longer serving us. Once we identify these beliefs, we can let them go with the assistance of energetic clearing that will be done during the reading. The record can also identify your life’s purpose. The practitioner will begin the session by opening your Akashic Record and then reading your energy. Questions are encouraged during the session. 120 minutes. 60 minutes for remote scan. 60 minutes for results session with client. Practitioner focuses on one area of the body, or one specific health issue. May be done remotely with results given via phone or e-mail. Used as a method of self-discovery. Practitioner induces a light hypnotic state to regress the client to a past life, or to a current life event that may lead to greater understanding and healing within the clients life. Used as a method of self-discovery for two people in a relationship, whether it is romantic, friends, relatives, etc. Practitioner induces a light hypnotic state to regress both clients at once to a shared past life, or to a current life event to gain understanding and healing within both clients' lives. Every-body is welcome in this all-levels yoga class. Breath is emphasized as we move the body, hone in on the heart and steer the mind back to our spirit. Classes are available for registration on a week-by-week basis, and we accommodate the whole family. Yoga for you and baby ages 6-weeks to 2. It's a play group with spirit. Feel free to bring a blanket or bottle for feeding. Older babies are encouraged to try what they can and are allowed to wander to other mats to make new friends. These yoga classes will include breathing, game-playing, reflection and a handout. Class is held Saturday mornings on a drop-in basis. For ages 5-12, though for shy or young children, we welcome parents/caregivers to stay and join. You can now schedule for individual appointments or for classes.